Trevor Black’s piece originally appeared HERE. 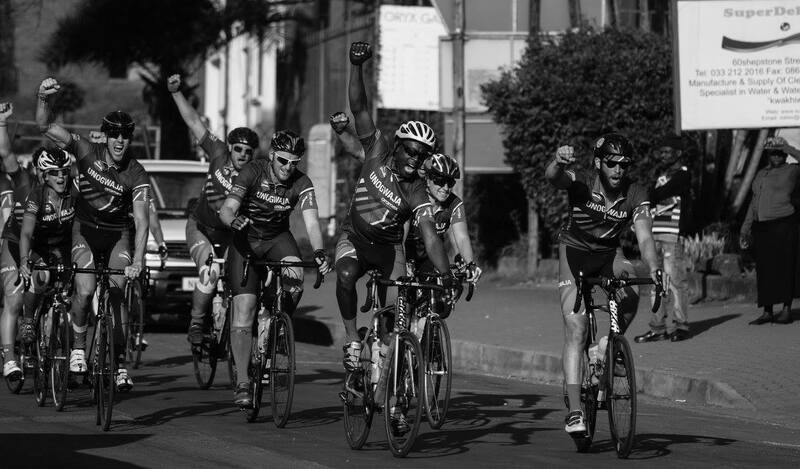 The Unogwaja Challenge is not a 1700km cycle over 10 days to the start of the 89km Comrades Marathon. John, as you look forward to building the team for next year, what are you looking for and what are you trying to achieve? Have you seen Armageddon?! The recruitment for Unogwaja always feels like the part in Armageddon when Bruce Willis brings his team of diverse people together for the important mission to save the world! There are many ways to serve as part of Unogwaja, but in the instance of Unogwaja Challenge, we are looking for people who can handle the physical rigours of the challenge, but once we have established the physical capabilities its what comes next that is really important to me. 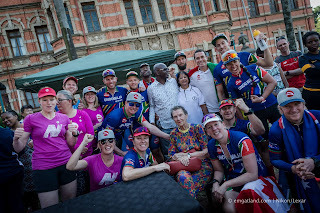 We are looking for people from all over South Africa, and around the world (There are 44 Unogwaja in history and 48 people who have served on the support crew representing 11 nationalities since we began in 2011) to be ambassadors for Unogwaja, South Africa, their own countries, story-tellers, people to ignite the people around them to be great, to believe in themselves and be part of this movement. We hope their contribution will continue and be valued long after the “event” itself is over. 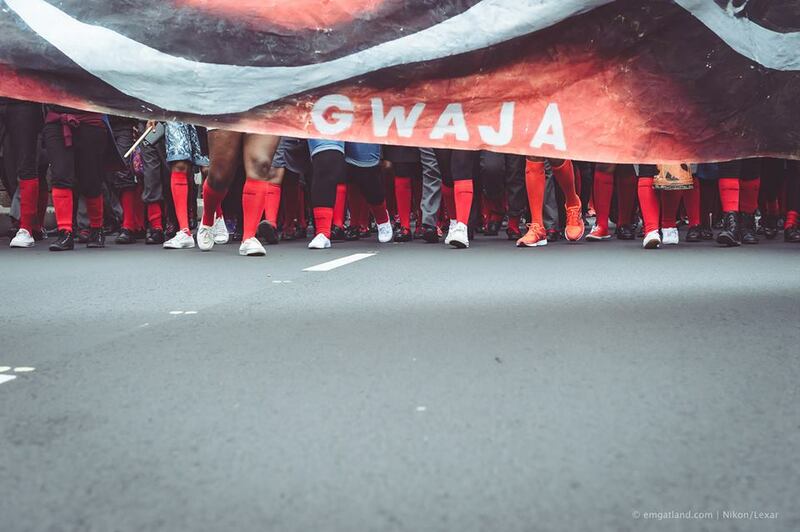 Being an Unogwaja carries a responsibility. We look for people who can see this and want to act on it, and build the legacy of Unogwaja, our collective legacy. network of people looking for a way to walk with each other, to see each other, to create a deeply interconnected world where we can thrive. That Cycle/Run is still quite a tall order though! 10 days of cycling before even attempting the Comrades. Not all the people on the team are ‘elite athletes’. What do you think is required to be able to cope with the physical demands? Presumably just desire is not enough? You are spot on Trev. I can’t tell you how awesome it is to hear these words from you. It’s special to see a deep understanding of what Unogwaja is all about starting to develop in people across SA and around the world. You are also totally right that the actual physical cycle/run journey is quite a tall order. And certainly we need to find people who have showed evidence in their lives of being able to cope with the physical demands of the journey. It is not fair on the individual or the team if anyone is really out of their depth. This does not preclude guys who do not have this kind of background but in these cases we would expect to work over a year or two to get them ready. organisation. 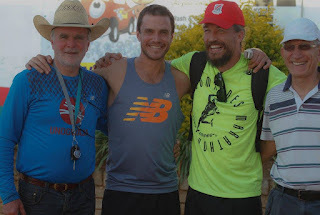 It’s incredible what we learn about ourselves in disappointment and how the extra time allowing Unogwaja to really sink can be the best possible way to become part of it. For me, the most important element that we want to get right is for each applicant to understand they are not “entering an event”. They are being chosen to represent a team, a movement. It really is a huge honour to pull on that jersey and carry it across our country. I remember a friend introducing me to someone saying this is the guy from Unogwaja. Unogwaja is harder to get into the Harvard!! are buying an experience, and lead to certain expectations about what they will receive in return. There is a support team. They will get kit etc. The dynamic is not the same as a pay for service event though. It seems more part of the ‘sharing economy’ or ‘gift economy’. What do you mean by ‘archy’? I am excited that you are seeing these things from the “outside”. It obviously must mean we are heading in the right direction. This is really encouraging for me! And it is not an easy thing when you are trying to create something that is different from the ‘norm’. sleeves and create the best of everything and be grateful for the honour of representing their country. There were those players in my career who had a huge sense of entitlement but those players did not last long and did not become the best. The players who kept focusing on what they could do for the team, rather than what the team could do for the players are the ones champion teams and movements are built upon. We try prepare our team for this mindset shift and understanding of what Unogwaja is all about. We do not want to create a “Rolls Royce” event. This is not what it is all about. Do we focus on creating an incredible and inspirational journey? We hope so! And things like safety we do not compromise on. However we believe it is important to be reminded of what this is all about, and that is a group of people coming together to serve. To have the chance to represent something great. A chance that not many people in the world will get the opportunity to do, and to continually be involved with. Don’t get me wrong we take ultimate responsibility for this event and we continually try and improve the “experience”, but the key for us is to create one team – Unogwajas, support crew, Stoff, Nicky and I – we are all in this together and working towards serving South Africa. Each Unogwaja applicant gives R1,000 with their application in order to show us that they are dead serious about this. We do not have the depth of resources to go through 100s of applications each year and hence its a way of discouraging people who are not that committed. 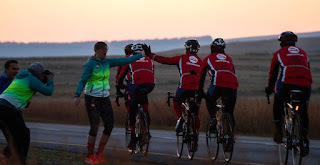 The fundraising component has been a personal commitment of R50,000 towards the Unogwaja Charitable Trust (over the years we have got a lot better at this and have a mentor system in place from the outset to assist each team member with how to raise the funds) – we see this as a minimum amount and hope that our team members can go way beyond this amount although we respect each and everyone’s commitment large or small and understand the different circumstances. For 2017, it’s the first year we are going to identify individual fundraising targets in an attempt to fulfil our potential as individuals and as a collective! Can we become the first group to break R2 million in one campaign?! I think we can do it! Each support crew member will also have a personal target to work towards so we are all in this together. resilience. On seeing the value they already add. On fanning those flames. 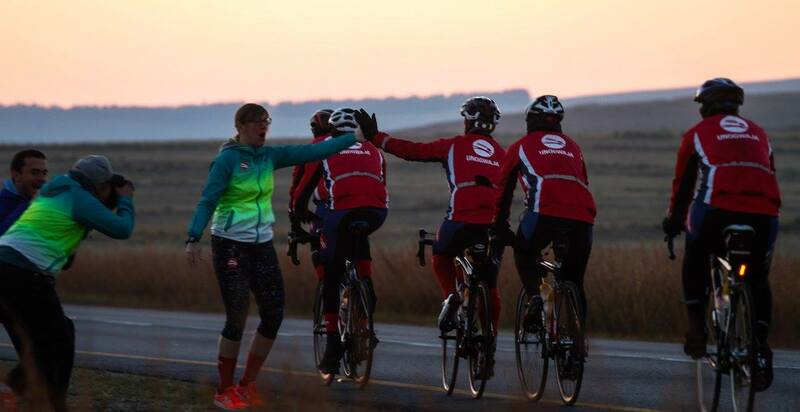 What are some of the projects that those who become Unogwaja Ambassadors will be getting involved in? Very grateful that you see all this Trev – thank you. It’s been a long road. And I believe it is very necessary to have a little context in order to understand where we are going and what we are trying to do. This is not an event. And nor is it a charity. deeper, and serves to enhance entitlement and compromise work ethic. Handouts serve the giver more than they serve the person receiving. Tough circumstances breed tough people, people who are willing to work hard, and giving this hard work an opportunity to be great is where the potential of our country lies.The first place that really opened our eyes to this was Vukasebenze Homeless Shelter in Cradock where we have been put up en route Pietermaritzburg over the last 5 years. The same with their second hand clothing business – people donate clothes or they are made through the sewing academy and then the clothes are sold in the shop from R2, R5, R10, R20, R50. There is a massive difference between getting something for free vs paying for it no matter how small the amount is. These funds then get injected back into the shelter to sustain it and the people that serve there. The Unogwaja Charitable Trust has invested relatively small sums of actual money into Vukasebenze (which means Wake up and work) only items such a workshop tools for the carpentry section, gardening equipment for the vegetable garden and sewing machines for the sewing academy. themselves better, empower their lives and people around them. The more people can be supported by these through their own hard work the better. they shine out of their little corner in Cradock. Keep shining we are with you all the way! 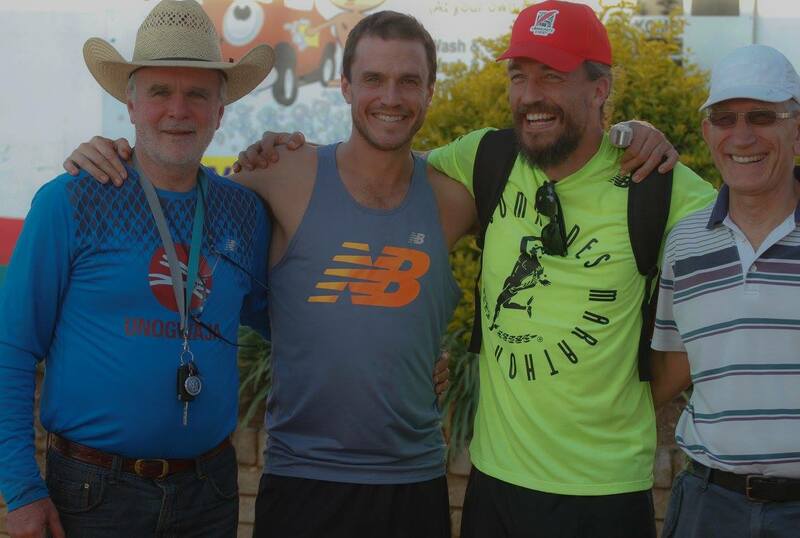 We have since then established similar relationships with the people of Lebone Village in Bloemfontein via our 2015 Captain Steven Iffland who has worked with Lebone for many many years. 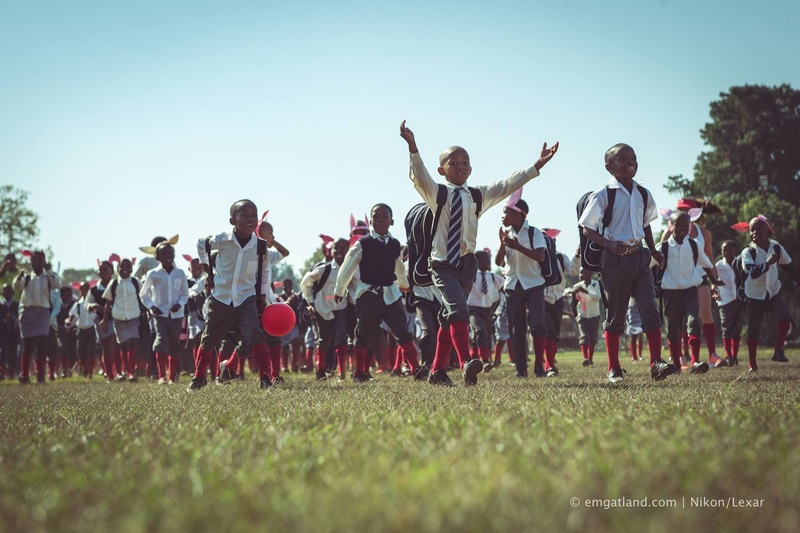 Through Michael Deegan and Pietermaritzburg Community Chest who we have been working with since 2011, we were introduced to Umsilinga Primary and have been working on the ground with the Principal, staff and other people committed to working in this area and with this school. These are the important people to ensure that the support is effective and appropriate and ultimately leads to supporting people supporting themselves, believing in themselves and having the opportunity to make their own life for themselves. I am particularly excited about what is happening in Langa which is Unogwaja’s long term focus area in the Western Cape. It feels like we are privileged to be on the inside and part of something incredible developing here. There really is so much happening here and it’s exciting to see what happens when all these sparks develop and start to join together. This year we have also been introduced to two special schools in the Eastern Cape through two special people very well known to Unogwaja – Zephaniah and Thulisile – their actions alone remind us of what lies at the heart of Unogwaja. Taking personal responsibility, initiative. We look forward to developing our relationships with them. This is the start of any meaningful partnership. We are not looking for “quick ins and outs”. Jees, I hope you are not strict on the world limit!! I could honestly say a lot more. Probably the most critical point to get across is that we are not in a hurry to spend money. Often money is just spent without much care and thought and the easiest way to show this is money “well spent” is if there is something tangible like a netball court or a classroom, take photos make a big deal of it, splash it over the newspapers, share the story about how sport unites our country etc but in reality these things alone will not create change, and in fact in many cases make the situation worse. We need to be developing relationships, building strong communities where hard work and commitment is the most respected currency. This takes time and is essential for the journey we are on. We want to walk this path together with people, not for them. An important role of Unogwaja Ambassadors is to really understand what we are trying to do and be the carriers of that message and approach. Our collective actions over time will really matter. And I really hope that the experience of the journey will ignite a passion inside our Ambassadors to keep telling this message throughout their lives and be involved in whatever way they can. The impact of this story can really be great and is in our hands and will be dictated by our collective actions. Maritzburg along with the Red Love Train. Thank you.